The New Mover's program is a great tool for your congregation to reach new families in your community. 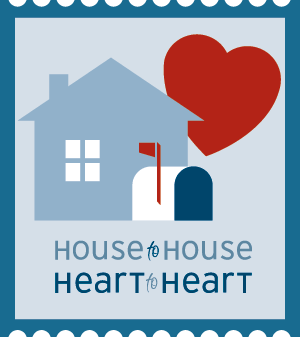 Every month, you can send an introductory issue of HTH to families that have just moved into the neighborhoods around your church building. The issue is customized for your congregation, putting your best foot forward to families who are looking for a new place to worship. HTH is able to acquire names and address for families who have moved into your area within the previous weeks. We run the reports, customize your front and back page, and mail them directly to new families. They'll receive an issue of HTH that looks great and contains your meeting times and contact information. It costs $1.00 per each new mover to your community plus a $5 monthly charge for the service. We send invoices for the New Movers program on a quarterly basis (March, June, September, and December). There is no minimum order, and you can set your mailing budget. For instance, if your congregation wanted to set a monthly budget of $50, we would mail no more than 100 copies. If your congregation wanted to target everyone in your area, we can help you do that too.